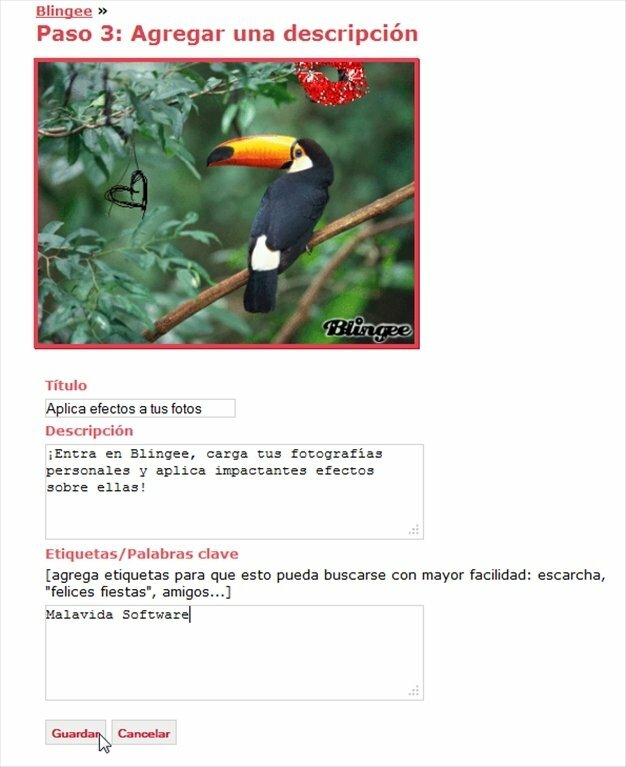 Blingee is an online creative community dedicated to the world of photography. In Blingee you'll be able to import your own photos and use them to create animated photos and graphics that you can later share them with the rest of users of the community. 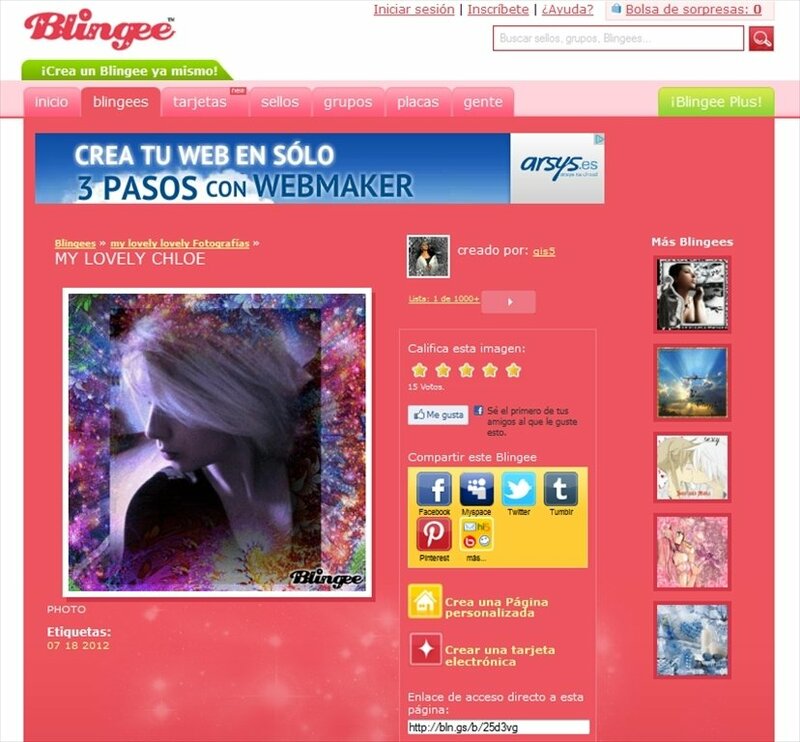 Take part in the Blingee community with your own images. Generate animated photos. Import images and apply all sorts of ornaments to create spectacular effects. Use all kinds of effects. As well as enhancing your images with the editing function, you'll be able to share them with the rest of users, take part in online competitions and appraise their creations. 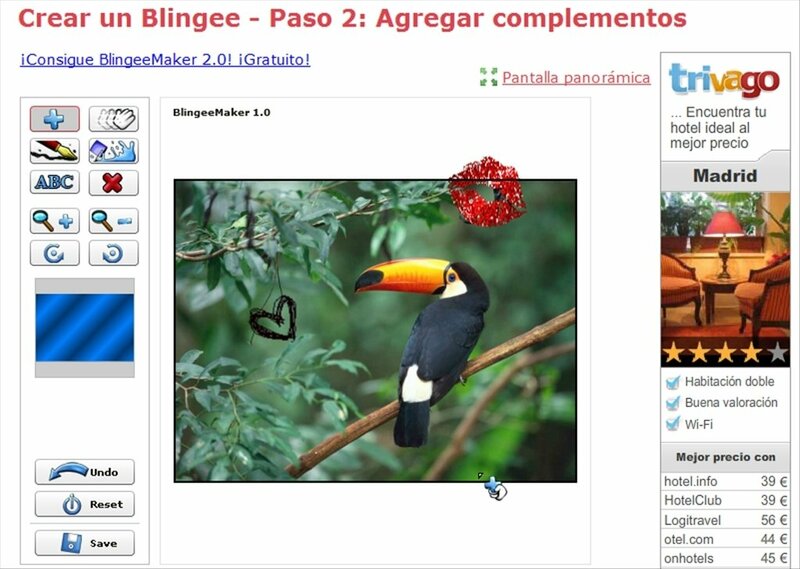 Access Blingee, a photo editor to animate and color all your images.